Iain Dale is one of Britain’s leading political commentators and bloggers. 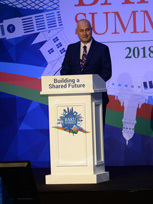 Iain Dale has been a contributing editor for GQ and writes for various national newspapers and magazines, including the Guardian, the Independent, the New Statesman, the Spectator and Attitude. Iain Dale is the founder of Total Politics magazine and was the brains behind Politico’s Bookstore. In 2009, he founded Britain’s leading political publisher, Biteback Publishing and since then has published more than 600 books including Power Trip, Call me Dave: The Unauthorised Biography of David Cameron and The Alastair Campbell Diaries. He left the company in June 2018 to concentrate on his broadcasting career. Iain presents the Drivetime show on LBC Radio (weekdays 4-7pm). He was named Radio Presenter of the Year for 2013 & 2016 at the Arqiva Awards. He has also co-presented LBC’s seven hour long general election night programme in 2010, 2015 and 2017. He is a panellist three days a week on CNN Talk on CNN International, with Max Foster, Liam Halligan and Ayesha Hazarika. He is a regular contributor to Newsnight, the Andrew Marr Show, the Daily/Sunday Politics and The Wright Stuff. In April 2018, he made an acclaimed debut appearance on the BBC’s Question Time. He appears as a regular political pundit on various Sky and BBC news programmes. Iain is also the creator and co-presenter of the For the Many podcast, which he records with former Home Secretary Jacqui Smith. 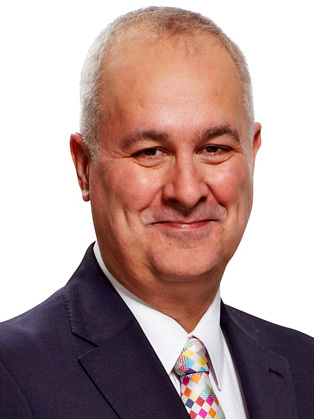 Very few indeed are better informed than Iain Dale – his style may be easy-going and humorous but he has a mind like a meat-cleaver. Iain has spoken at a number of internal and client events for Portland. He’s a polished performer, isn’t shy about sharing his opinions and has a great sense of humour, which means he can expertly hold the attention of an audience. He can do both informal and formal and is incredibly easy to work with in preparation for an event. We have had relentlessly positive feedback from clients and staff of all ages and seniority, and we sincerely look forward to working with him again in the near future.